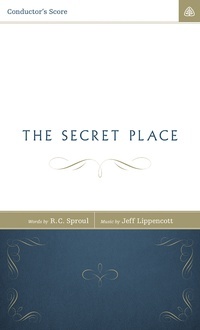 This arrangement for orchestra and choir of “The Secret Place” from Dr. R.C. Sproul’s sacred music project, Glory to the Holy One features lyrics drawn from Scripture and a lifetime of theological reflection. Glory to the Holy One is a collection of beautiful hymns written by Dr. Sproul and award-winning composer, Jeff Lippencott. This project provides the church with an offering of that which is good, true, and beautiful in the Christian faith. The download includes a conductor’s score, orchestral parts, and a piano/SATB arrangement for choir rehearsal. The conductor’s score prints best on legal-sized paper. The other pieces can be printed on standard letter-sized paper.